This Nordic land with Scandinavian heritage and a Germanic accent was inhabited by the first Viking explorers. And rightly so because who would think of setting up their camps at an island full of active and dormant volcanoes, hot geysers and mighty glaciers! 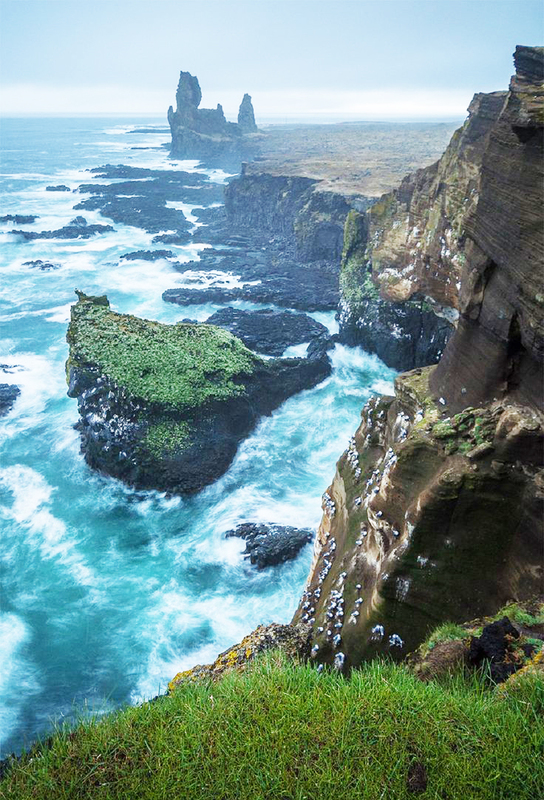 Welcome to Iceland, an island country between the North Atlantic Ocean and the Arctic Ocean. Having read so far, you must have already started to conceive the scenery from the “Game of Thrones” which had many parts shot here. Well, you must also know that not only the geography of Iceland is breathtakingly stunning but also the people, their deep ingrained culture, art and textiles. Of all the worldliness and the luxuries of the urban life, money, music, castles and expensive wine, the virgin lands of Iceland are worthwhile of an exile if given a chance. And to take such a chance is not everybody’s cup of tea. It is definitely not for the feeble hearts and the tainted spirits.To leave a successful career in law, a life in the most coveted city of the world called Paris and all the amenities & perks of a cosmopolitan life style is something which can be done by a fervent head. Someone who chooses Dahlias over Diamonds simply because Dahlias can be grown, cultivated, decked on the breakfast table, can be given to an ailing person to get well soon or to make someone smile unlike the lifeless diamonds. Hélène Magnússon, this month’s curated artist is the one who has chosen Dahlias and has a yard full of them already. She is a fashion & textile designer and founder of “The Icelandic Knitter”. She is an author to many knitwear design books and is a knitting yarn expert. She is a traditional knitting technique conservator, a freelance lecturer, teacher and an ace knitter herself. Oh! Did we mention that she is a trained hiker and mountaineer? Yes, all of this and much more.She began her professional life as a lawyer in Paris before she made a complete life transformation and moved to Iceland in 1995. There she learned the language while working in a sheep farm and soon after studied Textiles &Fashion Design at the Iceland Academy of Arts. She also got her specialized mountaineering training at the Academy. She worked as a cook during the winter and a mountain guide during the summer. The varied skills she learned in those early years richly inform her work today and make for her distinctive approach to design and sense of style. Icelandic Handknits: 25 Heirloom projects and techniques. She has won many accolades of textile & apparel historians and curators worldwide. Her work and new patterns based on old techniques are displayed and curated by museums in Iceland. Hélène revives the Nordic knitting and gives boost to the locally produced yarns sourced from local cashmere goats, thus benefitting the spinning industry. She employs many skilled knitters around her & provides employment. Not only does she design & create beautiful knitted textiles but has also developed exceptional quality yarns for different patterns named “Love Story” and “Grýla”. Although she has improved the techniques and patterns but her designs hugely reflect the vintage style and heritage. The new motifs of Helene have old aesthetics intact. Helene has also designed many knitting kits for enthusiasts and greenhorns across the world, thus sharing her passion with everybody. She has also organised many fundraisers for helping local farms and animals to conserve the Icelandic Cashmere goat. She organizes hiking and knitting tours in Iceland for knitters around the globe. Along the way, she shares her love of Iceland’s breath-taking nature, gives her insights into traditions and culture, stops by for some dips in the warm geysers and shares her knitting expertise through workshop intensives. This makes for a one of a kind experience and an unforgettable journey to the land of fire and ice. Cheers to one of the most beautiful story of learning and unlearning and to one of the most inspiring metamorphosis. We love Hélène and the fact that she chose Dahlias! Hélène Magnússon, taking a stop over to knit during her hiking tour. Behind are the lovely Icelandic mountains.